For a long time now, the Punjabi language has suffered from a lack of easily available comprehensive dictionaries. This is slowly leading to the disappearance many words which were an inherent part of the language not so long ago. On June 2018, the Punjab Institute of Language, Art and Culture (PILAC) announced that it was going to launch a first-of-its-kind six-volume Punjabi dictionary. The Punjab Government funded project was finished by a team of 15 researchers who completed the work in one-and-a-half years. While initiatives such as these are finally being taken, it is important to revisit some of the historical contributions made to this language by foreigners who had made Punjab their home. Punjabi is the tenth most spoken language in the world, with over 100 million speakers across the globe. Yet it remains far behind the top languages in terms of its literary, lexical and syntax development. The work of Christian missionaries remains a pioneering contributionto the development of this language. Being the most widely spoken language in Pakistan, the major dialects of this language include Majhi, Saraiki, Hindko, Pothohari and Multani. Linguists note that it is the only living fully tonal language among the Indo-European family of languages. This family of languages is spoken by more than 46% of the human population, by far the most of any language family. The earliest known records of the language are from the 9th century A.D. in the form of poetry by the likes of Charpat Nath, Gorakh Nath, Pooran Bhagat, and Shah Shams Sabzvari. The first known regular poet of Punjabi language, Baba Farid, appears in the 12th century A.D. The origin of the Punjabi language is traced to Shauraseni, a dialect of Prakrit (which itself is a lingual successor of Sanskrit) that was commonly used in the drama and plays of northern India from the 3rd to the 10th century A.D. It is believed that Punjabi evolved from this theatrical language by around the 11th century –which explains its tonal predisposition. With the advent of the British into the Indian Subcontinent, a number of Christian missionaries also arrived – largely with the intention of preaching Christianity and doing philanthropic work. In order to deliver the message of Christianity to the indigenous people, the first step was to gain lingual prowess of the indigenous languages. This was also important because they had to translate Christian Scriptures into the local languages. This led them, for the first time, to compile dictionaries and grammar books of local languages; one of which was Punjabi. Dr. Nasir Rana in his paper Punjabi Research and Criticism: A Brief Study, explains how Christian missionaries contributed to the development of the language. Punjabi – like most languages of colonial India –was mostly an oral language that lacked a formal grammar and lexicon. This was indeed a hurdle which prevented this language from being used in formal and non-folk writings. In such a context, the advent of Christian missionaries turned out to be a blessing in disguise for Punjabi and many other languages of the Indian Subcontinent. Punjabi linguistic scholars are in agreement on the fact that Rev. William Carey was the first person to write the grammar of Punjabi, amongst other languages, back in 1811. He was also the first person to translate the Bible into Punjabi. Based in Serampore, Carey of the Church Missionary Society became an expert on a number of Indian languages including Bengali, Punjabi, Marathi, Sanskrit, Telugu etc. He also compiled grammar books of all these languages. However, Carey’s work could not prove seminal to the lexical and syntactical development of Punjabi. While the reasons behind this are not clear, certain scholars suggest that this may have been due to the great fire at Serampore Mission in 1812 that destroyed most of Carey’s writings. Although, the Serampore Mission was one of the earliest missionary societies to develop formal syntax and knowledgeof Punjabi, it was, however, many years later that the work of another missionary group would have a significant impact on the language. This Mission of the American Presbyterian Church,to which Shan refers, was headed by Rev. John Cameron Lowrie. Its headquarters were at Ludhiana and it had many stations throughout the Punjab. Infact, the American Presbyterian Mission was the first Christian mission to arrive in Punjab after its annexation into the British Empire. This mission consisted of many important missionaries who later played an important role in the educational development of Punjab viz. Rev. 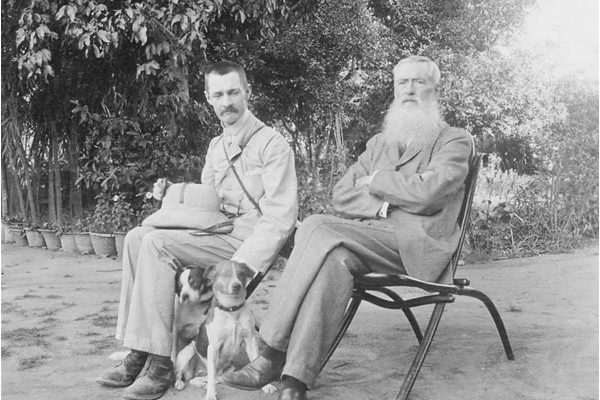 Charles Forman and Rev. John Newton. During the early decades of the nineteenth century, the Ludhiana Presbyterian Mission was among the very few in Punjab to own a printing press with the capacity to publish works in Punjabi. This, combined with its linguistic knowledge, made it highly effective in “developing a set of standards for Punjabi”. As a result, the mission published Idiomatic Sentences in English and Punjabi in 1846 and also a Punjabi Grammar in English in 1851. It was, however, in 1854, that the American Presbyterian Mission at Ludhiana for the first time ever produced a comprehensive Punjabi-English dictionary titled A Dictionary of Punjabi Language. The dictionary was prepared by a committee comprising Rev. 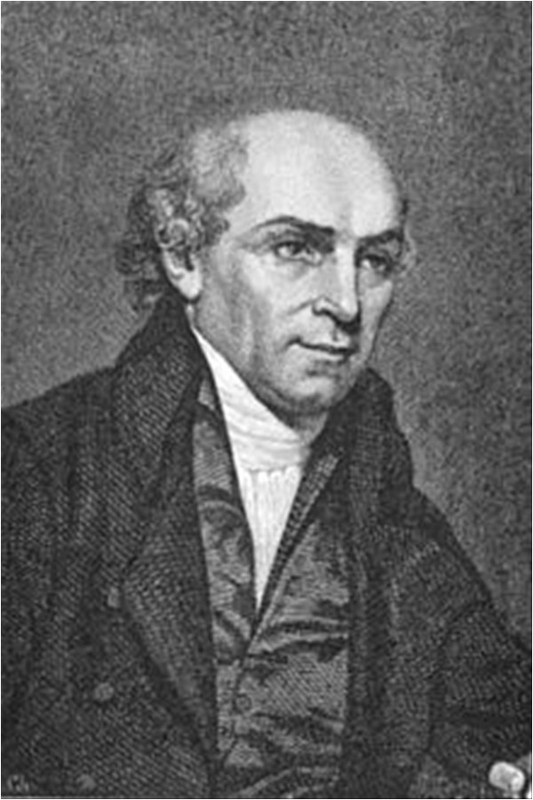 John Newton, Rev. Levi Janvier and Rev. Joseph Porter. It consisted of 438 three-columned pages containing about 25,000 words printed in Gurmukhi and Roman scripts in the order of Gurmukhi alphabet. Dr. Rana acclaims Rev. John Newton’s work by acknowledging that “Newton’s work became a standard for the subsequent researchers.” Indeed, many subsequent dictionaries and grammar books were influenced by Newton’s work, and it is for this reason that linguistic authorities like George Grierson have held him in high esteem and hailed him as “one of the fathers of Modern Punjabi language”. Many other missionaries also produced important works which had a commendable influence on the linguistic knowledge of Punjabi. In 1919, Rev. T. Grahame Bailey of the Scottish Mission of Wazirabad published English-Punjabi Vocabulary which contained 5,800 words. Rev. Canon V. P. Hares of the Church Missionary Society of Gojra also published an English-Punjabi Dictionary in 1929, which contained about 15,000 words of English with some 55,000 meanings given in Roman script Punjabi. Another notable work was Dictionary of Jatki or Western Punjabi Language by Rev. A. Jukes of the Church Missionary Society of Derajats. The foundational work in Punjabi linguistics was done by Christian missionaries. Subsequently,major works produced by colonial officers, educationists and linguistic scholars also played a formative role in the development of the language. Despite these vital contributions, Punjabi has failed to gain high esteem with the urban elite of Punjab, and to this day, it is essentially considered an uncultured and unsophisticated language – at least in Pakistani Punjab. Anand, Dave, and Nita Anand. History of Punjabi Language and Gurmukhi Alphabet.2013. www.patch.com/connecticut/trumbull. Diamond, Jeffrey M. “Vernacular for a New Generation.” Chap. 9 in Language Policy and Language Conflict in Afghanistan and Its Neighbors: The Changing Politics of Language Choice, by Harold Schiffman, 297-301. BRILL, 2011. Quraishi, Waheed. “Punjabi Adab di Traqqi Wich Angraizan da Hissa.” Biannual Kohj, 1987, July- December 1987 ed. : 12-13. Rana, Nasir. “Punjabi Research and Criticism: A Brief Study.” www.apnaorg.com. 2006. www.apnaorg.com. Shan, Harnam Singh. “DICTIONARIES (Punjabi).” In Encyclopaedia of Indian Literature: Devraj to Jyoti, Volume 2, by Amaresh Datta, 1031-1035. Sahitya Akademi, 1988.